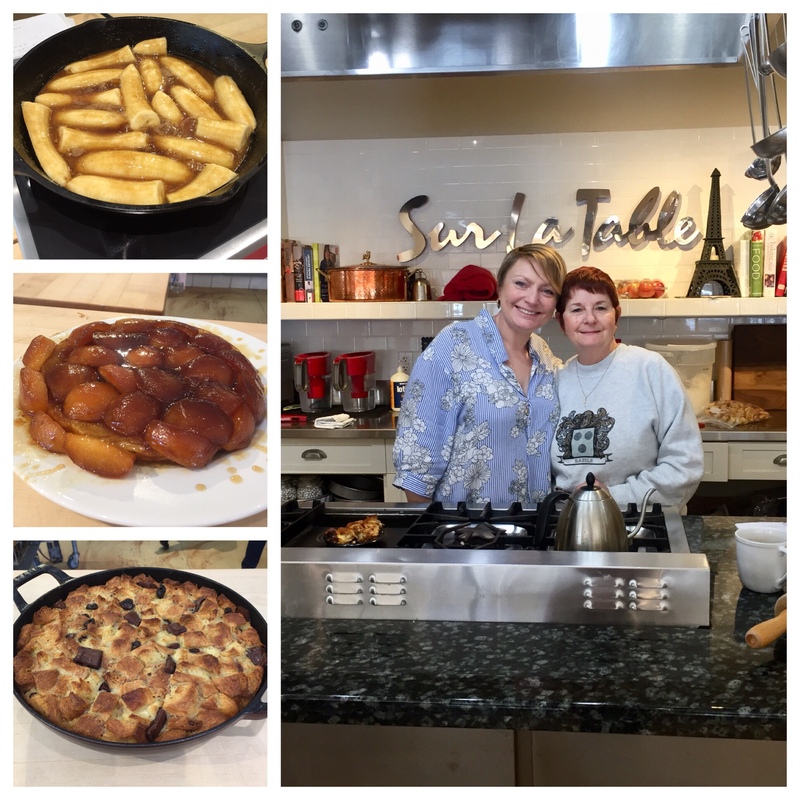 Today I got to see my friend Gail again and take a wonderful cooking class! I had signed up for the “Cast Iron Desserts” class a while back, but it was in danger of being canceled because no one else registered. Thankfully, Gail was available and interested — and I was thrilled to spend some time together. We made Bananas Foster, Apple Tarte Tatin, and Croissant Bread Pudding with Cherries and Bittersweet Chocolate. All three were delicious and I learned a lot. Today’s #OneGoodThing was taking a fun cooking class with Gail! And I loved bringing home leftovers of these dishes to share with Mama! Day 337 of 365. And Day 1,068 in a row (here’s the first 366 & the following 365)!